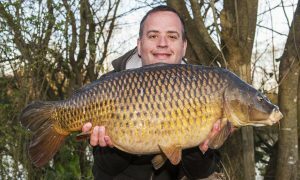 Joes Carp Tutorials | Why angling tuition? If you think about it, there are hundreds of courses that you can take which will give you a kick start into learning about one particular subject. It doesn’t really matter whether its sailing, painting or mathematics for that matter. If you wish to gain extra info you’d go to a library or these days perhaps onto google. Either way you look for info to help you get started or boost your knowledge and angling is no different. On my travels I come across all differing levels of angling ability and where I can, if they don’t mind me helping, I always suggest perhaps trying or changing something. It’s not a ‘listen to me because I know it all’ attitude but I like to help, especially when I see people struggling with anything. Many of the guys that have come along with me have already gone onto making it work for them. Whether they have angled how I showed them with the same rigs, baiting and location. Or whether they have changed things to suit their position but however, they have gone away with the confidence to go out and angle for themselves. You must remember that some people don’t have the natural confidence to perform properly with people watching. If they are seen to make a wrong cast or forget to do something as simple as forget to take the bail arm off (we’ve all done it) they’ll not only look stupid but will probably get ridiculed for the rest of the day by the guys on the opposite bank. It’s just one of the silly things that can make us feel awkward. With learning and putting things into place so that you don’t forget such menial tasks, confidence becomes second nature. When confidence is flowing, everything starts to fall into place and from here you will excel and like I stated at the beginning you can learn anything, some of us just need a helping hand. Concentrating on catching consistently is the key. So if you’re sitting there thinking, why do I need to take angling tuition? You would if you wanted to learn or gain knowledge in anything. Stop contemplating and do it.